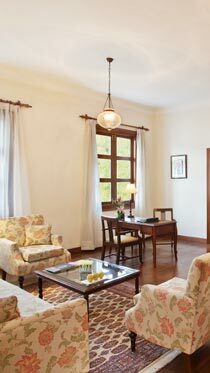 Maidens Hotel features 55 rooms and suites. 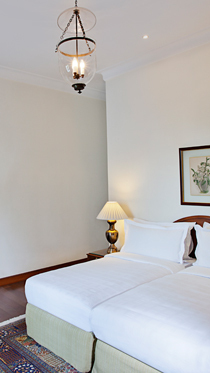 Spacious rooms with high ceilings are unique when compared to the box-sized rooms of modern hotels. 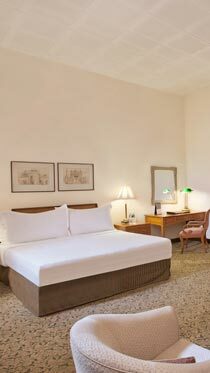 All rooms and suites are centrally air-conditioned, with amenities like mini bar, tea-coffee maker, LCD TV, satellite channels, personal In-room safes, hair dryer, wireless high speed internet and direct dial telephones. In our endeavour to always offer our guests services and facilities of the highest standards we are upgrading the swimming pool at Maidens Hotel. The swimming pool will be under renovation until 10th May, 2019. 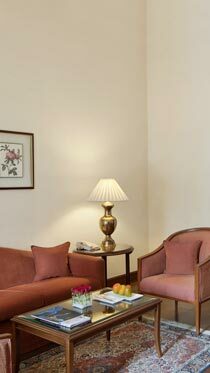 We sincerely apologise for any inconvenience that the maintenance work may cause to our guests and we welcome our guests to enjoy poolside services at The Oberoi, New Delhi. We shall be happy to arrange transfers between the two hotels.